So here I am with another experimental beauty video which shows you how to make the best of what you’ve already got, rather than what you haven’t. In these videos I attempt to take on much sought-after beauty looks, using products that I already own, many of which are super-affordable high street drugtore offerings. This time I rose to the challenge of creating Huda’s lip contour look in Famous. You may have seen all over instagram and the like,that Huda is the darling of glammakeup, with Kim Kardashian as a muse. She’s brought out these gorgeous lip contours, and I wanted to see if I could recreate the colour for myself, without spending another dime. 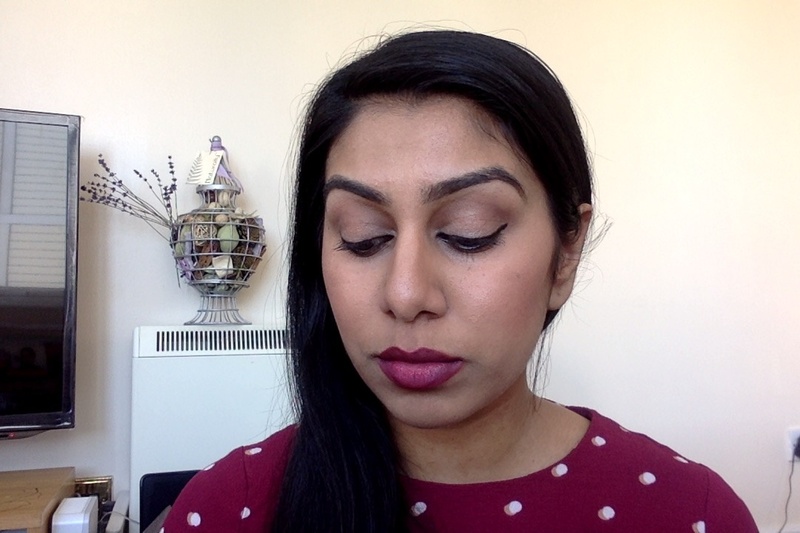 I used two lipsticks from Collection Gothic Glam range – Seduction and Scorned. Check out my video to see how I created the look below. What other looks, colours would you like to see me attempt to recreate in a frugal way? Let me know in a comment below.